How to prevent and solve mold growth in your home. Mold is found both indoors and outdoors. Mold can enter your home through open doorways, windows, vents, and heating and air conditioning systems. Mold in the air outside can also attach itself to clothing, shoes, bags, and pets can and be carried indoors. Mold will grow in places with a lot of moisture, such as around leaks in roofs, windows, or pipes, or where there has been flooding. Mold grows well on paper products, cardboard, ceiling tiles, and wood products. Mold can also grow in dust, paints, wallpaper, insulation, drywall, carpet, fabric, and upholstery. 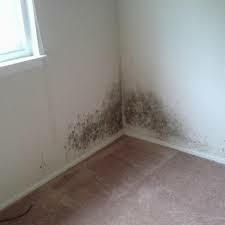 You may visit us here or call the Gold Coast Flood and Mold Specialists office today at 888-373-9243 to have a knowledgeable mold specialists and technicians to remedy your mold growth problem. We look forward to the opportunity of being able to serve you.